Hello everyone. 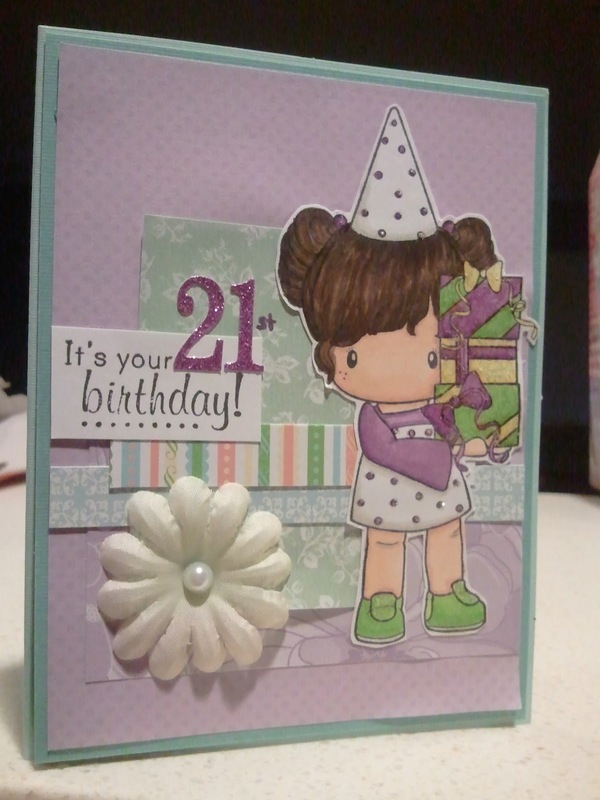 I just wanted to share a few cards I've made for birthday girls this year. 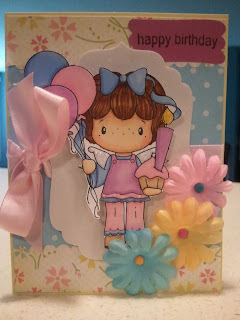 Starting with the most recent card I made for a baby girl's 1st birthday. The invitation said,"Guess WHO is turning ONE!" and the theme was owls. So, I thought of an owl themed card. Stamped with these cute owl stamps I think I found at Michael's with Momento Rose Bud Ink. Then colored in with copic markers. 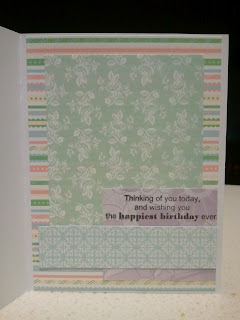 Used paper from the "hello summer" echo park paper pad. Then wrapped with a little bit of pink twince from Doodlebug Twine Assortment, baby girl. I used AmyR's Card Template here. 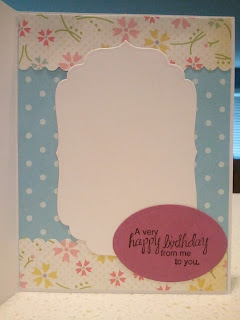 Here are two other birthday cards I made using C.C. Designs Swiss Pixie Birthday Gretel and C.C. 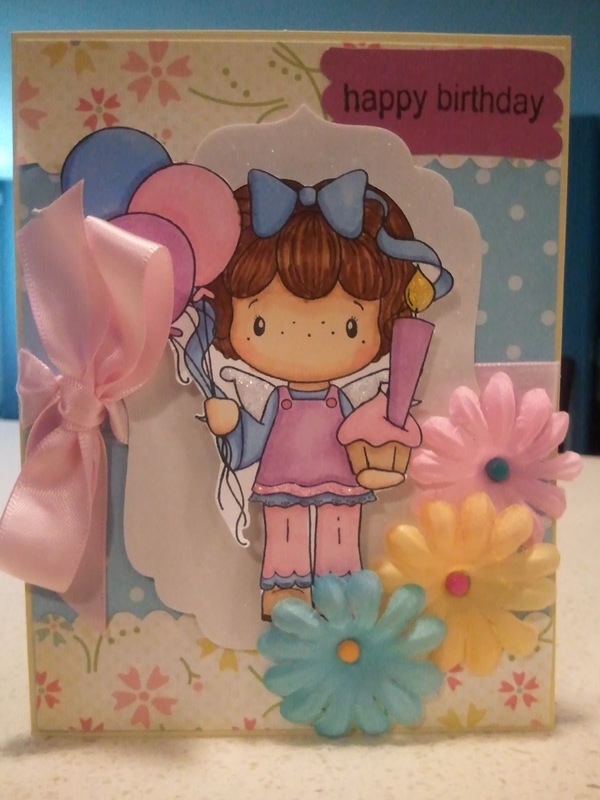 Designs Swiss Pixie Brithday Lucy. Again stamped with AmyR Best Birthday Wishes Stamps.